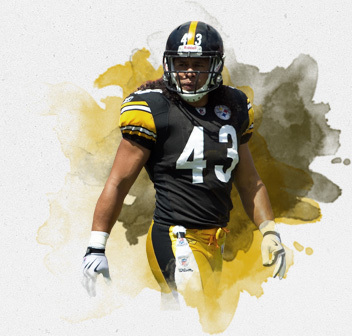 Troy Polamalu launched his digital and social media presence late in the summer of 2010. 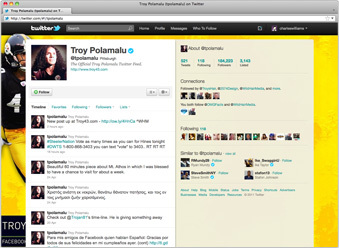 Prior to the launch, Troy had no website, an inactive twitter account with a few hundred followers, and no official facebook fanpage or youtube channel. A key component in the digital strategy. 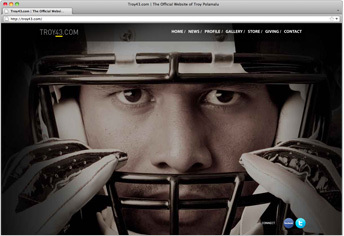 We helped the site’s store become the first NFL athlete to establish an affiliate relationship with NFLshop.com. It was designed to be integrated with a sustainable social strategy that included a blog format for the NEWS events Troy chooses to publicize. Troy’s site traffic continues to grow as part of his fully integrated digital strategy. 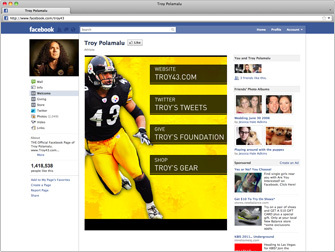 Wild Hair Media launched the Troy Polamalu Facebook page and quickly grew it to well over 200,00 fans. Using unique fan engagement tactics the page grew to over 1 million in less than 6 months. Troy’s page currently ranks among the top two players in all the NFL. Wild Hair worked with Twitter to have Troys account quickly verified from it’s launch. The tactics we continue to employ have grown the account to over 200,000 followers. Troy is not the kind of personality who takes naturally to twitter, despite his apprehensions, Wild Hair has employed strategies with Troy that keep his growing base of followers engaged, informed and responsive.